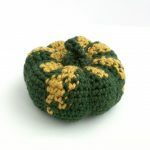 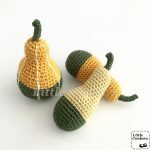 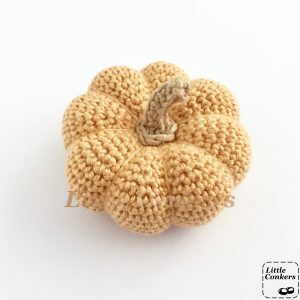 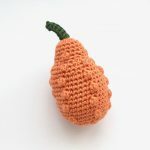 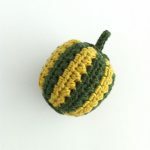 I wanted to do a quick roundup of my new collections of decorative gourds and pumpkin ornaments, as I have created several new options this year, including new colours and new gourd designs too. 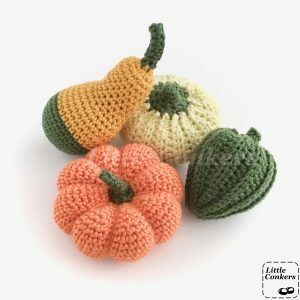 In response to demand, I have added this new collection of four pieces, which includes my new acorn squash design. 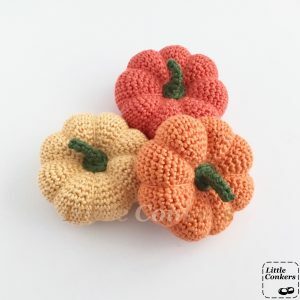 There is a choice of three different colours for the main mini pumpkin. 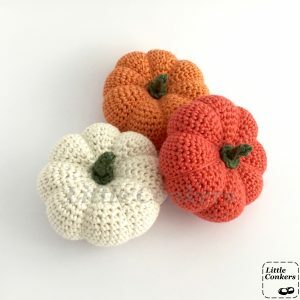 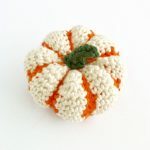 With a classic orange pumpkin, this set looks great on its own, but for a larger collection, choose a white or red-orange pumpkin and combine it with a set of orange pumpkins. 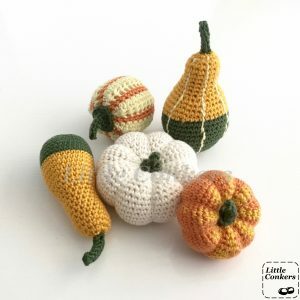 I have the following five piece collections ready-to-ship, but you can always ask for a particular arrangement of your choice. 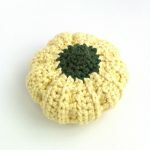 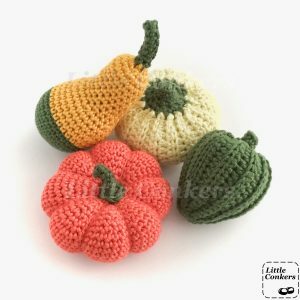 See my permanent page for more details about my pumpkins and gourds, or visit the Little Conkers Etsy shop. 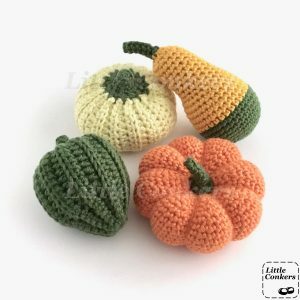 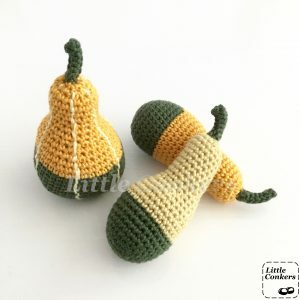 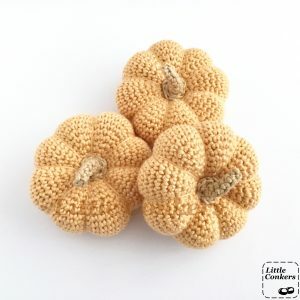 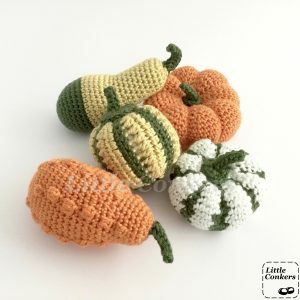 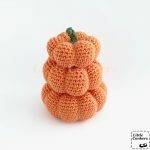 If you are looking for the patterns for my gourds and mini pumpkin ornaments, I am in the process of publishing them all. 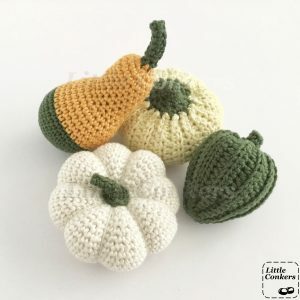 You’ll find the links below where they are available.